(Oregon Coast) – UPDATED with wind details. 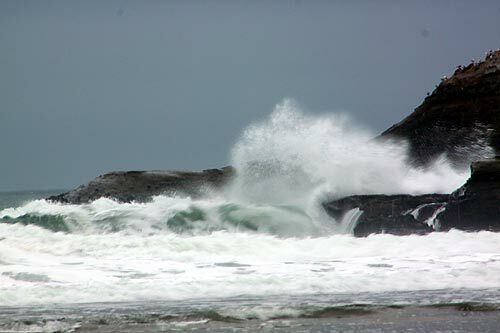 Huge waves and some big winds are coming to the Oregon coast this Columbus Day holiday weekend, prompting the National Weather Service (NWS) in Portland to issue a warning about staying away from the surf zone. Remnants of hurricane Oho are the culprit, moving into this general offshore area from the south, and affecting the northwest and Oregon coastlines on Thursday night and Friday. Some lingering effects will be felt until Monday, the NWS said. 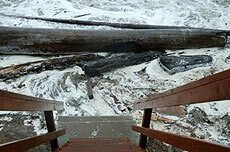 The agency warns to stay off small beaches and any jetties. The NWS said combined seas will build to around 12 to 17 feet on Friday, possibly higher. It appears they will lessen by Monday, but not before combining with other factors to create more hazards. As the dominant southwest waves gradually shift to coming from the west, this will add to the swells, the NWS said. Bigger, faster waves coming up the beaches will pose many dangers. 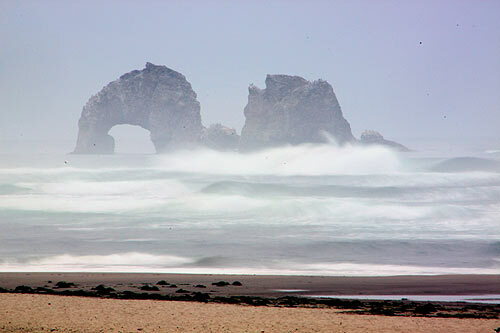 The NWS advises to stay off any surf zone. 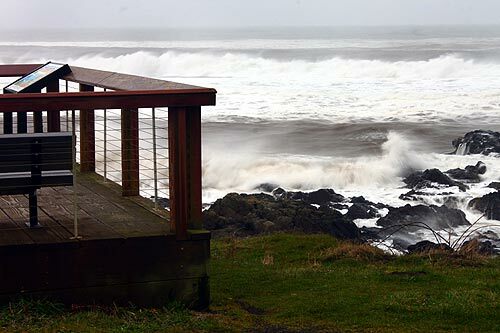 This means narrow beaches will be especially dangerous, like those at Lincoln City, Gleneden Beach, Oceanside, parts of Newport and areas between Gearhart and Warrenton. Stay off jetties completely, the NWS said. 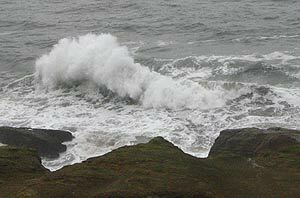 Breaking waves will vary greatly in size and could easily sweep people over the edge and into the waters. 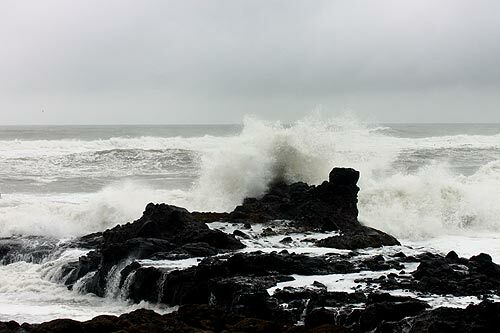 Waves also have the potential to roll large driftwood logs onto beaches or fling them into the air at rocky spots like Cape Perpetua and Yachats. This will, however, mean plenty of good storm wave watching. 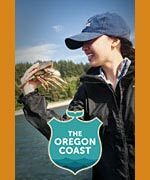 Great spots for this include the vantage points just above rocky shelved areas like Depoe Bay, Yachats, Oswald West State Park, Newport's Nye Beach or Oceanside. You'll be safe and get a great show as long as you stay up in the paved areas. 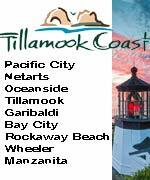 Even broader beaches may be a problem, however, such as those at Seaside, Cannon Beach, Newport's Agate Beach or close to Warrenton. Stay clear of any area with wet sand, where the tide has gone up to. Winds will be gusty and heavy at times, with sustained winds around 20 mph on Friday and gusts perhaps into the low 30's. Winds will decrease over the weekend, although the NWS has issued plenty of small craft warnings for mariners during that time. 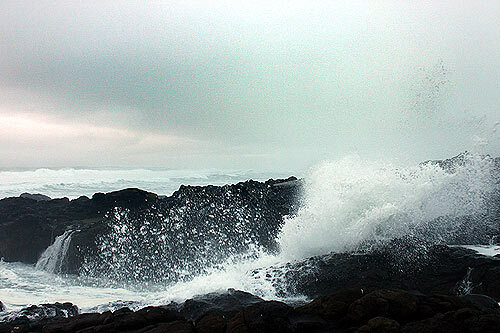 More Oregon coast weather.